So I asked my Facebook buddy, J.r. Rivera to send me some spreads that I could put on my Deck of 1000 Spreads page for people to play with. I thought he'd send spreads that he created with his own DoTS, but he just sent me some of his recent favorites from his tarot diary. Which is brilliant, because life doesn't always hand us spreads that correspond to the cards in your Deck of 1000 Spreads. The spreads you get from books and online might use all kinds of different wording. So the misunderstanding between me and J.r. is a blessing in disguise, because it gives me a chance to illustrate how you can use your deck to create any old spread from a book or online. Before I begin, however, I'll say this. 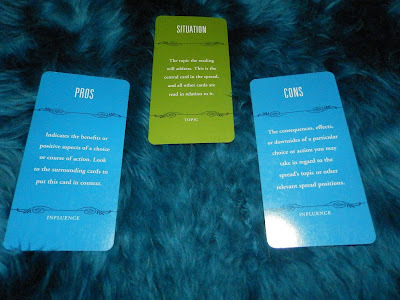 Depending on how you think of a position or how you want to read a spread, you may use totally different "surrogate" or substitute cards than me. And that's ok. We all have different ideas of what's logical and right. The spread is ideal if somebody wants to know about a person they've met or an option they are given (such as a job/career). Card 2, represents the beauty about it. Good qualities. Card 3, represents the ugly about it. Bad qualities. Now, the Deck of 1000 Spreads doesn't have a "Beauty" or "Ugly" card. Nor does it have a "Good Qualities" or "Bad Qualities" card. But here's one way to lay out J.r.'s spread using surrogate or substitute cards. So this is a pretty generic way of approaching the spread using surrogate cards—Situation, Pros, Cons. You could use the Question card, instead of the Situation card, because the Deck of 1000 Spreads does have a Question card. And "good qualities" and Pros and "bad qualities" and Cons are pretty much the same thing. So it works. But how about if your question is more specific. Like let's say you're thinking of having a medical procedure done. Like plastic surgery. How would you weigh the beauty and ugly of that? The Health card can be a stand in for your medical procedure. And you could use the Pros and Cons again. Or maybe this time you want to opt for the Positive Influences and Negative Influences to measure the effect the procedure would have on your life. Now here's another way of looking at a situation, using cards from completely different categories to represent the same question, but this time about a relationship issue. 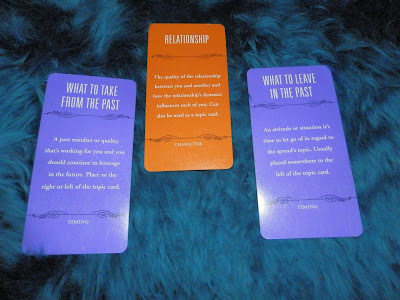 There's a green Topic card called Romance, but if you feel like "Relationship" is more what you're getting at with your question, use the orange Character card in its place, called Relationship. Then you can use your purple Timing cards to represent the "good" and "bad" qualities, by way of what to get rid of and what to keep in your relationship. 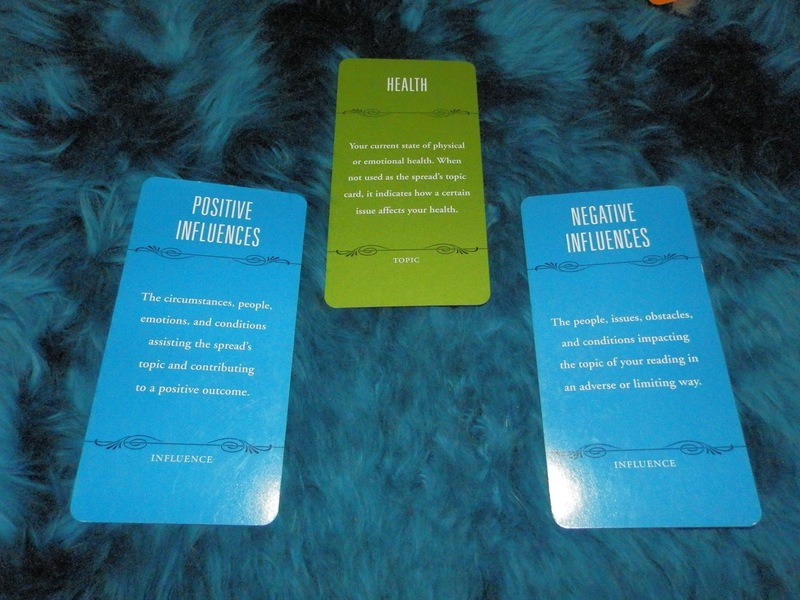 This narrows the reading down quite a bit to reveal what's working and what's not in a relationship. So that's three different ways of approaching the same spread with the Deck of 1000 Spreads. And, like the name suggests, you could do it a bazillion more ways, too, using specific Topic cards or finding other ways to parse "beauty" and "ugly" in the context of your specific question.